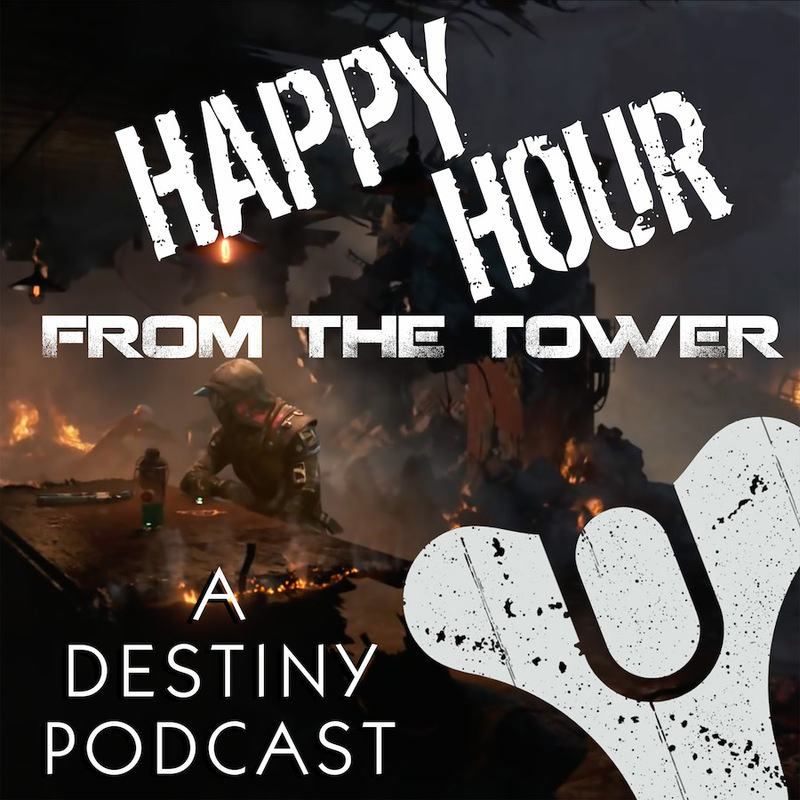 If you’ve been tracking with us on Happy Hour from the Tower: A Destiny Podcast then you know that Brandon, Nick, and Tee have never been on a Raid. Check that — never been on a successful Raid. When Bungie revealed their new armor for the Age of Triumph, the guys knew they had to up their game, one Raid at a time; and recently, Tee and Brandon got a fireteam together and headed into the original (vanilla) edition of Vault of Glass. Share with us your own favorite (or least favorite) Raids at 703.791.1701 or podcast (at) happyhourfromthetower (dot) com. We’d love to share them with the Guardians on the show! Nick has his own soundtrack. Did you know that? Brandon kills Demigods for the fun of it. If Orion is the foundation, then Brandon is the gravel. Heading into the Vault of Glass, we — looked — great! Nobilis’ strategy, similar to OneActual’s on Twitch: Have a Defender on call. Brandon is jonesing for that AoT Vault of glass armour. Tee faces a nasty jumping puzzle that eats away at his final nerve…. Why did we go with Vault of Glass? For Brandon, it would be a taste of what was to come for his #AoTGoals. VoG Unfinished Business for some of us. Nick will get to do a Raid…eventually. Could we do this again at 390? Tee wants a Light buffer before giving it a shot. If Orion had that armor, he would be wearing the new armor. So, how did we get along? Remember The Rage Tee owned in the last episode? What would be nice before the Boss Battle: A Rundown of What I Need to Do? Tee learned a lot when watching an H1Z1 Event. On OneActual’s feed, one person is making the call. Another #DestinyGoal: A chain of command. Was the Raid worth it? Did WikiReedia have somewhere else to be? Anyone else think the Vault looks like this? The adrenaline crash is nuts! What is your favorite Raid? LET US KNOW! Brandon sounds so sad. Cheer him up, will you? Hey, I had done 2 raids at that point, VoG and Crota’s End, furthermore, another reason we did VoG Vanilla first is because I needed to get Atheon’s Eye for the No Time To Explain quest.. Sorry for the temporary loss of memory there, Nitro. I have corrected the show notes accordingly! Eyes up, Guardian!